Striplights are ideal for table-top or people photography. 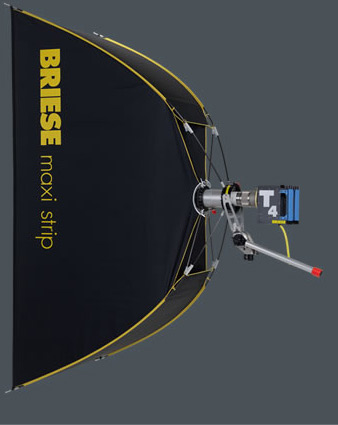 Briese provides these reflectors in five different dimensions. In addition two diffusers with different density and a neutral gray-reduction diffuser ( minus 1 f-stop ) can be chosen. The 85×200 Strip generates a narrow band of light with which you can make excellent side or overhead lights. This unit is very popular for car photography.